I think that Ronda Rousey didn't prepare much for this fight. 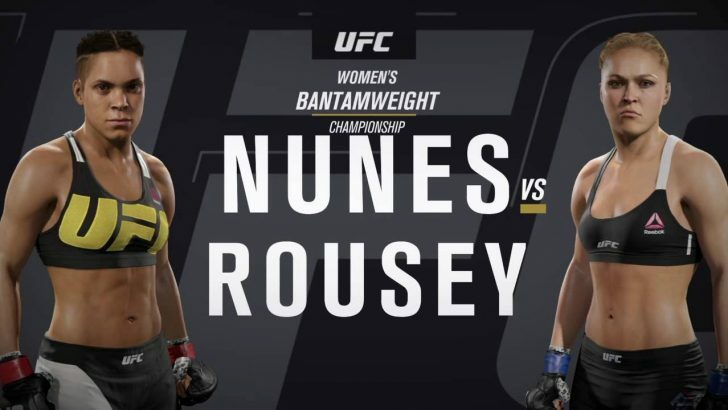 Also, it seems that she's not prepared to fight Amanda Nunez. That is why people were asking what was going through her head weeks before the fight night - no interviews, no access to press, no media coverage for her. This was supposed to be her redemption after losing to Holly Holm previously (November 2015). I was actually happy for Holly before, because Ronda became so arrogant, boastful and overly confident. But Holly still remained grounded and humble after she won. Was it the same attitude that Ronda showed for this UFC season? 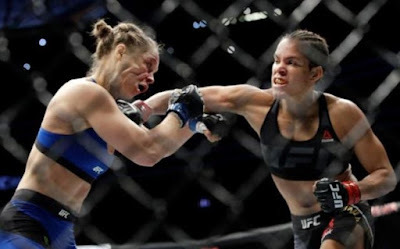 It was so easy for Amanda to continuously punch Ronda in the face. This is not the kind of fight we want to see. We want the 2 fighters to be better and stronger from their previous fight and we want the 2 to go head-to-head and see difficulty and struggle on both sides. Based on the interview, I'm not sure if I'm going to like Amanda. I think not. She's just so lucky that Ronda was not prepared, not well-conditioned. But it seems a little disappointing to hear sometimes when a fighter says, "I saw it coming" or "I have expected it" or "I know everything what will happen." Wow, that is over-confidence! I pity Ronda's performance. I know that she did not expect this outcome at all. Hope she gets back and rises again from this BIG fall. Personally, I admire fighters, that even in their victory, still remain humble. Was there a Filipino female fighter who have joined UFC? I'd like to see one to fight with Amanda next! What do you think?